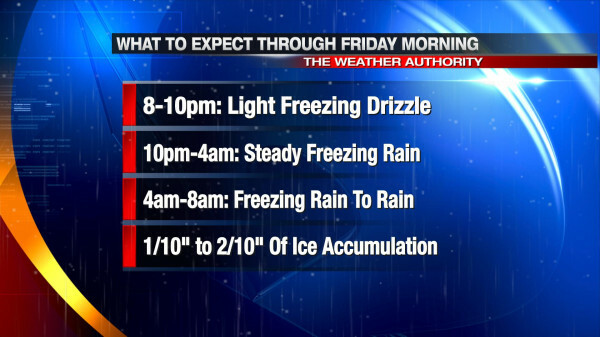 Tonight is the night; love it or hate it, freezing rain is likely from mid-evening through early Friday morning. 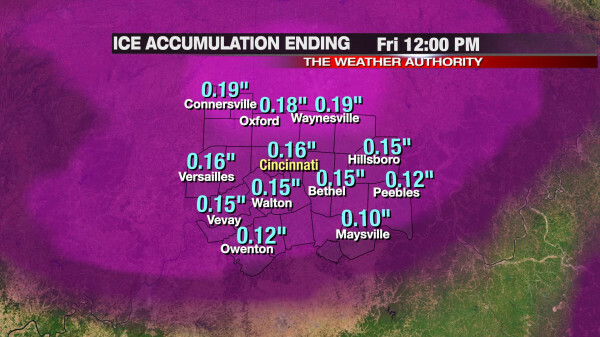 This has been a well-advertised event, but there are still some uncertainties regarding the amount of ice any given Tri-State community will get tonight and early Friday. It is worth nothing that a lot of the ice that accumulates will melt as air and surface temperatures go above freezing tomorrow morning. 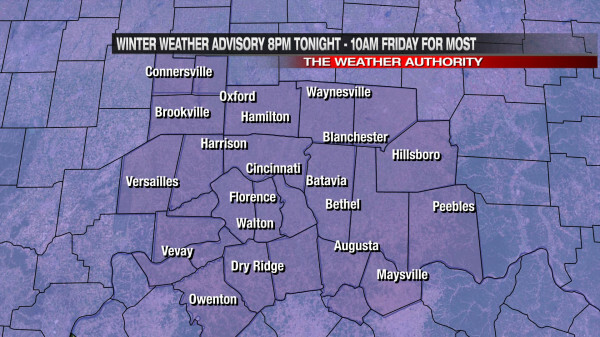 Roads have been treated fairly well in and around Cincinnati; I am cautiously optimistic there will be few problems in the morning on roads. Sidewalks and cold, elevated surfaces will be favored to get ice accumulations over roads (especially the treated ones). There may be some isolated higher amounts in or just outside of the Tri-State, but this will be an exception more than a rule.